Welcome to our third issue of Whispers! We appreciate the fact that you've chosen to subscribe and support our project. 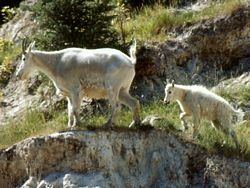 This is a busy time of the year for nature lovers with so much happening and so many places to explore. We hope you're enjoying the season in your corner of the world. To visit the page and get a bit of information click on the image. Be sure to also check out the appropriate archive pages to see the previous selections. We also invite you to suggest nominees for up-coming choices. Send us an e-mail. Have you visited our Forum recently? 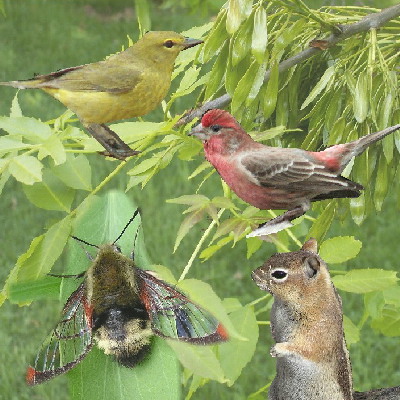 It's a great place to meet and "chat" with other nature lovers. You can even upload your own images of your encounters with nature. Check it out by clicking here. 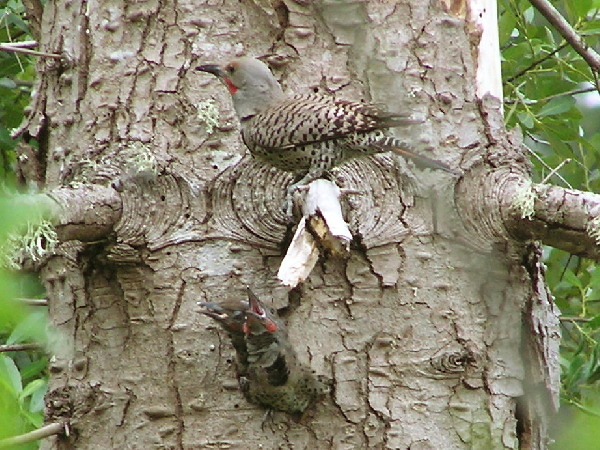 During our wandering search for an image for this month, we came across a Northern Flicker and a couple of youngsters. The youngsters were hanging out of the nest to be fed by the male above. The juveniles blended in very well with the tree's colouring, as did the male himself. As this was a rare sighting for many, it helped to make this the perfect choice for the nature photo for this month's newsletter. In the the Woodland's Pathway section, we have a new feature called "Wild Stories" with the first one being about the cute and cheeky Hoary Marmot. In the Wildflower Garden there is a now a photo gallery about parasitic plants. These fascinating species lack chlorophyll and so rely on others to provide food or energy. You can visit the pages by clicking on the images. 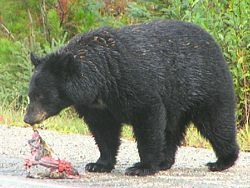 To see the captions Janis submitted, just click on the images. Each month in the newsletter we're going to feature a "Snippet in Nature". This month's is about Mount Shasta. Unconnected to any nearby mountain, Mount Shasta stands alone in the Cascade Range of western North America. It rises out of the ground more than 10 000 feet (3 000 m) above the grasses, shrubs and trees that encircle it. 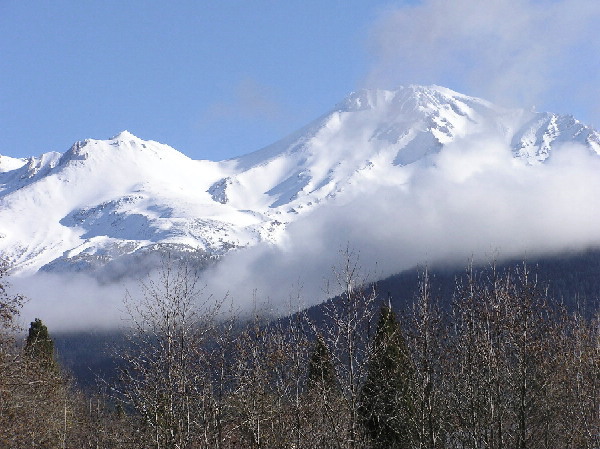 Located in Siskiyou County, Northern California, 40 miles (65 km) south of the California-Oregon border, it is the second highest peak in the state at a little more than 14 175 feet. It is basically a solitary group of four volcanic cones that make up its unique shape. The main summit, of course, is Mount Shasta with the other prominent cone named Shastina, just over 12 300 feet high. It has been over 200 hundred years since the last eruption. One can enjoy excellent views travelling along the highway, especially in winter or spring when the snowcapped peaks create striking vistas. You may have noticed this logo on the DNI home page. It is for del.icio.us which is a social bookmarking website -- the primary use of del.icio.us is to store your bookmarks online, which allows you to access the same bookmarks from any computer and add bookmarks from anywhere, too. It's an amazing tool on the web. Once you have established a free account, you can quickly add your favourite pages. If you have an account already clicking the "Save this Page" link from the Inn's homepage automatically adds it to your collection. Explore more by visiting the site here. Don't forget to check out the amazon/dereila bookshop. You'll find a super selection of nature books and guides. See what's in the store for you by clicking here. Please spread the word about our project by passing on our website information to friends and other nature lovers. You can also forward this newsletter by clicking on the "forward email" link at the bottom of this newsletter. Until next time, best wishes from the Dereila Nature Inn. We invite your comments, ideas and suggestions, so please just send us an e-mail.